It was such a pleasure to open the package and receive that beautiful little wooden box and your lovely letter, but that really didn’t prepare us for the actual product. We were absolutely blown away by the photos! They were stunning and you captured the day perfectly. We started with the slideshow as you suggested and I was so moved by it I cried – it was truly beautiful, you did a wonderful job. There are so many great photos, and you’ve also captured those special little moments between us and our family and friends. The whole day is in that collection of photos. We are so rapt that there are so many great shots of us as a couple that we really feel represent the joy and the love of the happiest day of our lives.You’ve absolutely nailed it. You did such a wonderful job and we are really blown away thank you so much Paul. We can really get a feel for the huge amount of effort that has gone into not only capturing the day so well, but putting that all together for us into a phenomenal slide show and a well ordered collection of images. We can’t thank you enough.We are so looking forward to seeing the album in due course too! Wedding at The Milk Station in Otaki. I cannot recommend Paul enough. He was beyond amazing to deal with, our wedding photos are so good that my family burst into tears, and he got me feeling confident and happy, and enjoying our wedding shoot. Absolutely spectacular, and I will be telling anyone I know to use him! Wedding at Pencarrow Lodge, Wellington. We were lucky enough to find Paul after extensive research for our wedding photographer! We looked at many options but there seemed to be something we didn’t quite like about each one, until we found Paul. It was important to my (now) husband that we found someone who loved taking natural photos. Being able to meet with Paul first and discuss it all was so great and then the bonus of a test shoot was something not many photographers offer, especially in the hail! � we received our photos so so quickly and they brought tears to many people’s eyes who have seen them so far! Paul captured so many incredible moments and everyone has been amazed at how he did it given you never saw him around! He is absolutely incredible and we couldn’t ask for better photos. Paul made everyone feel so comfortable and we had so much fun, making the day absolutely perfect. We have ordered a photobook and are very much looking forward to this as we have seem samples of the ones he has put together previously and know it will be incredible! I hope we have something else in the future to use Paul for because I wouldn’t look to anyone else. We cannot recommend Paul enough for photography, the absolute best. When our only daughter announced that she & her long time boyfriend of 5 years were going to be married – the planning of a most precious journey began. We have a small family – and events such as these are embraced with excitement, passion and enthusiasm…. occasions to be savoured and treated as cherished milestones in a family’s history. We love to celebrate – and we place great importance on capturing the memories of these beautiful precious moments. Needless to say – selecting an amazing photographer was of huge importance and was high on our list of priorities. We spent many weeks researching – trawling through literally scores of websites – and looking through endless galleries & portfolios in our quest to find the perfect photographer for us. We came across Paul’s website late one evening – and we were immediately drawn in. It is hard to define exactly what sets Paul’s photograph work apart from other work you will view… we came to refer to his uniqueness and his stunning point of difference as “The X Factor”. Quite simply – Paul Howell’s work is extraordinarily beautiful. He captures the many transitioning moments of your much anticipated, long awaited day – and delivers photographs which are not only natural & spontaneous – but breathtakingly beautiful in their ability to tell a story and capture a precious moment in time. These treasured keepsakes allow you to revisit that wonderful day – where so much (in the days that follow) becomes somewhat of a blur amidst the excitement, glorious chaos and euphoria of the moment. Paul, along with his “second shooter” and lighting assistant were completely unobtrusive despite being with us throughout our entire day. They arrived early in the morning & stayed late into the night … and they missed nothing! They captured so many things – and so many spontaneous, wonderful moments – that many of us would never have had the opportunity to see. On meeting just 3 weeks after our event – Paul’s stunning collection of breath taking photos, totally blew us away. There simply are no words to adequately describe how totally and completely thrilled we were. The immense amount of work, on Paul’s part, truly evident in not only the quantity of photographs delivered – but more importantly – in the quality. His photographs are beautiful… and the essence of their beauty lies in the natural spontaneity which is so exquisitely captured – and which is such a hallmark of this photographer’s work. From the moment we met Paul – when he first came to our home for our initial meeting – we felt confident that he was going to be the perfect choice for us. He is highly organized, details focused and incredibly warm, enthusiastic and generous with his time. He is easy to talk to, fun to with and is a goldmine of great advice and wonderful suggestions. In the months leading up to our daughter’s wedding – we emailed Paul on numerous occasions to discuss & brainstorm various aspects of the day. He always replied (same day) and usually within an hour or two of our email. We loved this about him – always accessible – and totally hands on in the way he operates his business. We cannot speak highly enough of the exemplary service we received – and the beautiful, timeless work which Paul Howell produced for us. My husband, by virtue of his profession, is also a competent photographer in his own right so our expectations were always going to be high. We were NOT disappointed. The entire process from beginning to end was fun, exciting and completely stress free… and only served to enhance the special joy of this unique chapter in our lives. Paul… we really feel that we found a friend – and you more than delivered on our highest expectations. You were an absolute pleasure to work with – and the consummate professional. Thank you, from the bottom of hearts… A truly exceptional photographer! Wedding Ceremony at Old Saint Paul’s Church Wellington. Wedding Reception at The Intercontinental Hotel, Wellington. Securing Paul as our wedding photographer would have to be one of the best decisions we made for our special day. Paul is not only incredibly talented and professional but has a calm and friendly manner about him. From the moment we met Paul at our engagement shoot, we knew he would provide beautiful photos of our day. The engagement shoot made us feel a lot more comfortable in front of the camera and we utilised these photos to make our wedding stationary more personal. On the big day, Paul was fantastic! Despite losing a couple of kilograms from sweating in the heat, Paul remained composed throughout. He guided us to all the prime locations at our venue to soak up the rural atmosphere (the majority were shaded which was a bonus). Throughout the ceremony and reception Paul went unnoticed, but captured so many natural photos of our guests and us. Paul was so efficient with getting our photos to us. We had our online preview gallery within four days and all files within three weeks. We were in total awe of our photos. It was so incredible reliving the day and we have so many wonderful memories captured thanks to Paul. Paul we cannot thank you enough for your professional service. We will definitely recommend you to others. Wedding at The Landing, Masterton. As you can imagine, we have been so keen to receive these! They are over an above anything we expected and are simply perfect. You absolutely captured the essence of our wedding and have exceeded our expectations.Thank you so much for not only the beautiful photographs, but for making the whole experience an enjoyable one. You were able to put us at ease and your friendly, easy-going approach ensured that our guests were also made feel comfortable. Your unobtrusive style was something that truly impressed everyone. Wedding Ceremony and Reception at Wharekauhau Lodge, Wairarapa. Wedding at Tatum Park, Manakau. Paul is one of those passionate, hard-working people, blessed with an incredible talent, who likes doing things to perfection. From the moment we contacted him, we were impressed by his very friendly and natural manner. The engagement photo shoot that came with our package was a real must and a treat – it helped us to feel more natural in front of the camera, and also reinforced our feeling that Paul was going to do a great job at the wedding. And he did! On the big day, he was completely prepared, knew where to go to get the best light and landscapes. He related very well with all our guests, making them laugh during the group shots. The photo session with our wedding party was one of our highlights – so much fun! Paul then blended with our guests very naturally, was relaxed yet very professional. When we received the wedding pictures, our breath was simply taken away. Paul managed to seize every single moment – the sparkle in our eyes, a brief smile and giggle from a six-month old baby… Our couple shots are just amazing – we are not models, but Paul somehow made us look amazing while still very natural, capturing the drama of the landscape, a sun-ray or the wind that blew the train of the wedding skirt to perfection. He did not force us to make unnatural poses, but guided us so that we would have a huge variety of pictures and was always ready to press the button at the right moment. He has the intuition to know what’s going to look good. An online gallery was made really soon after our wedding (he must have worked so hard because it was a busy season for him). I shared the shots with my overseas family who could not make it to the event and the feedback I got was incredible – the pictures just radiate with happiness. My sister (who lives in Europe) got incredibly jealous that Paul is based in New Zealand and that she won’t be able to ask him to cover her own wedding! Now, the hardest job will be to choose which pictures to print! Wedding Ceremony at Lake Ferry Hotel, South Wairarapa. If you are thinking of getting Paul Howell as your wedding photographer, do not think twice, go ahead and book him (before he gets snatched by others). Wedding Ceremony at the Greek Orthodox Church Mt Victoria, Reception at The Intercontinental Hotel Wellington. We love the photos. You’ve done such an amazing job of capturing us! In the craziness of start of year work stuff, it had been a real joy to look back over the day. Wedding ceremony and Reception at Pravda Cafe Wellington. Paul is fantastic. He gave us so much time before and after the wedding to ensure any queries we had were answered. The engagement shoot was hugely beneficial for us. On the big day, Paul was amazing. He captured the day beautifully. He is fun to work with, has a lovely manner about him and all our guests loved him. He fit in with us easily and we highly recommend him to anyone who will listen. We love our photos and are impressed at how quickly he got them to us. Thanks Paul, you are the best! Wedding at Riversdale Beach, Wairarapa. Paul is amazing! I could recommend him enough our special day was captured perfectly with absolutely stunning photos. He is also awesome to deal with and made us feel so comfortable we didn’t even realise he was there which for camera shy subjects that was huge! Wedding Ceremony at Princess Bay Wellington, Reception at The Pier, Evans Bay, Wellington. Firstly, Shayna and I would like to thank you so much for photographing our wedding. Thanks to Paul, we are able to relive each moment as we scroll through our magical photos. His photos really do capture the emotions and celebrations created with all of our family and friends. Meeting before the wedding to establish a relationship was perfect as it gave us a greater idea of what it would actually be like on the day. We even had photos sent to us later that day asking what we preferred (quality). Having a delay in the schedule (due to bad weather) put no limits on what Paul could do, as he used photos to turn minutes into what seemed hours! Paul’s professionalism throughout the day was second to none and he had built a great rapport with our guests. This really allowed for Shayna and I to be ourselves. A quick turnaround for photos to be sent to us was awesome! We will be sure to recommend Paul and his services to friends and family in the future. Wedding at Tarureka Estate, Featherston. 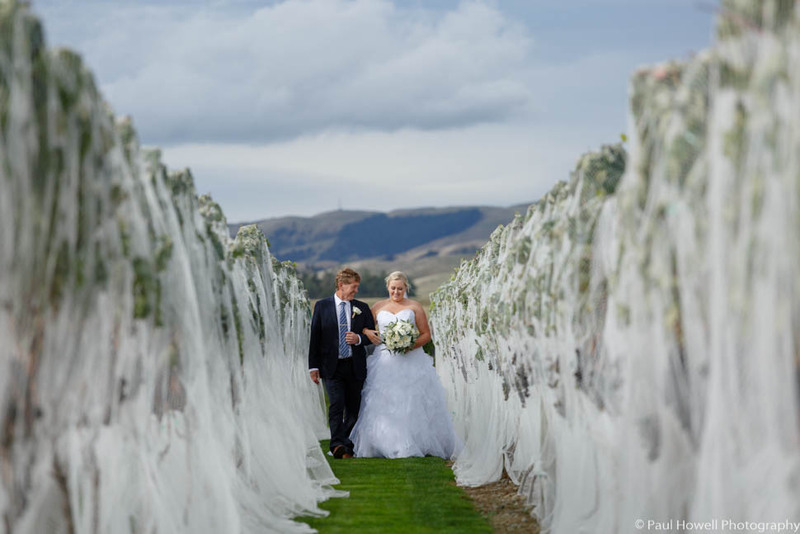 We came across Paul’s website after an extensive online search to find the best photographer in Wellington within our budget and we were not let down! After our first meeting we immediately warmed to Paul’s friendly and professional manner. We discussed the complimentary engagement shoot which Paul explained would enable us to become more comfortable being in front of the camera and give us a taste of what to expect on the day. Mike and I usually hate being photographed, but we actually had a lot of fun doing the engagement shoot and were amazed at the results. On the wedding day Paul was fantastic. He achieved the perfect balance of authority in dealing with a large bridal party and other photographers, and blending into the background wherever appropriate. This latter part meant that a lot of the time, especially during the ceremony and reception, we were not even aware of his presence. Because of this, we have so many beautiful, natural and candid shots. He also wasn’t afraid to get his suit dirty and wet during the photo-shoot; lying down on the pavement and sand in the pouring rain in order to get the best angles. We were thrilled with the huge variety of gorgeous pictures that captured the fun, excitement and joyfulness of the day. Paul far exceeded our expectations and we couldn’t recommend him more highly! Wedding ceremony at St Peters Church on Willis Street, Wellington. Wedding reception at The Pines, Houghton Bay, Wellington. My husband and I have just celebrated our first anniversary as a married couple and are reminiscing by looking through the fantastic photos Paul took at our wedding! They are an amazing record of the day and we had a lot of great feedback from family and friends that looking at the photos and the slideshow video Paul made of the highlights felt like being back at the wedding. Every time we look back at the photos we see something new. Paul has great attention to detail and was really attuned to the atmosphere of the day and put us at ease. Despite only meeting Paul the day before our wedding, we felt like we’d been hanging out for ages and having our picture snapped all the time wasn’t as noticeable. We would absolutely recommend Paul to anyone looking for a photographer. Thank you for creating a wonderful lasting record of our special day. Wedding at Zealandia, Karori, Wellington. We met with a lot of photographers in the Wellington region, prior to choosing Paul. It was the easiest decision we made with regard to our wedding. From the first meeting he was friendly, easy to work with and we knew he was keen to make sure our photos were what we wanted and a special reminder of our day. On our wedding day, Paul was relaxed and fun to work with. During the reception we had forgotten he was there until he came to say good bye. Once the photos arrived we were stunned. They were amazing – everything we hoped for and more. What we appreciated the most was that during the reception, where we hadn’t noticed he was there, he captured some AMAZING photos of all the important people in our lives. The most special moments were captured in a totally unobtrusive way. We are totally thrilled with all the photos and could not recommend his services enough. I know that in the future we will be working Paul for family photographs and all sorts. Thanks Paul for all your hard work! Wedding Ceremony at The Landing, Masterton. Paul was recommended to us by two sets of friends, and we couldn’t have been happier to have him photograph our wedding. From the first meeting, he put us at ease and made us feel confident that, despite being very camera-shy, we would have some beautiful reminders of our day. Paul was a delight to have at our wedding, and captured the low-key nature of our day perfectly. We could not recommend him more highly to other couples, especially those for whom the idea of having their photograph taken is just a little scary! We knew right away that Paul was the best photographer we could have chosen, based on his amazing photography alone and then meeting him in person and finding him to be very personable, easygoing, friendly and professional. He fit right into our day and was a hit with all of our friends and family. He also went completely unnoticed during the ceremony and reception capturing all the perfect moments of us and our guests. We really couldn’t recommend Paul highly enough and we are so grateful for the most beautiful images that we will get to treasure forever. Thanks Paul, you rock! Wedding Ceremony and reception at The Pines, Houghton Bay, Wellington. If you are sitting on the fence about which photographer to pick perhaps our recent experience can help. We looked at a lot of photographer’s websites, sample galleries and offers before we arrived at Paul Howell Photography. There are plenty of technically skilled photographers but something stood out in a lot of Paul’s photos – we noticed that he seemed to have a knack for capturing memorable moments/reactions. His website doesn’t just show a few of the ‘best photos’ either- you get a good idea of the consistency he is able to achieve. It was also clear he knew Wellington and locations and it was obvious he could get a shot regardless of what Wellington’s unpredictable weather had in store (and we did get torrential rain on the day!). We met Paul for a chat, he was organised but has a very relaxed and easy going manner – so we booked him in. We also opted for a 2nd photographer on Paul’s recommendation. In hindsight I now know that a number of the shots would have worked quite differently, not been captured or simply not possible without Jason’s assistance. What you don’t see in the photos is their high work rate on the day and their ability to work together unobtrusively. The guys were also very adaptable – we threw them a curveball by having our own photo booth – they obviously had little control over what our guests did in there – but the gear was professionally setup and tested thoroughly. You never quite know how your photos are going to turn out and we didn’t have to wait long. Within a short window Paul had a sample gallery to us. Our guests were delighted to see photos so quickly and it also allowed us to share the day with those that couldn’t be there. Similarly we have had numerous requests from other businesses involved in our day (from the dress designer to the florist to the cake maker!) to credit Paul’s work in their own website/marketing. Thanks guys for capturing our day – The early preview and the final photo package were beyond expectations. Though there is one problem… deciding which are the best ones to print? Wedding Ceremony at Old Saint Paul’s Church and Reception at Queens Wharf Ballroom, Wellington. Paul was an absolute joy to have as our photographer! A pleasure to deal with, 100% reliable, and his photographs are OUT OF THIS WORLD! After initially meeting Paul we knew he was the perfect person to capture our wedding day – a true professional but in a charming, fun, and easy going way. Paul’s approach meant there was an endless supply of fun and laughter during the wedding party shoot, and during other parts of the day he was working tirelessly in the background to capture all the special moments. The sheer volume of incredible photos we have demonstrates how hard this man works!! In addition, the turn around on the photos was extremely fast, so we didn’t have to wait very long to re-live our day through Paul’s gorgeous photos! We loved having Paul along for the ride and he has managed to capture the essence, emotion, happiness and joy of our wedding in the most extraordinary way. My husband and I are beyond delighted with Paul’s work and will be recommending him to anyone and everyone – we cannot stop pouring over the beautiful images that he has produced! Now we’re back from our honeymoon we wanted to say a massive THANKYOU to Paul and Jason for photographing our wedding in Tarureka Estate on Friday 3rd April 2015! Planning from the UK (we live in Wales) originally felt a little daunting, however Paul made it so easy. We wanted someone who had a relaxed style, and after looking through websites and calling many many many other photographers we found Paul… From when we first met (on Skype) we could see the care, attention and dedication he gave to his job. Paul was so easy going, relaxed and fun and we felt instantly comfortable with him! Thank you for our many emails and skype calls! Nothing was too much to ask and Paul always responded straight away, answering our every question (even though we had the 12 hour time difference to contend with! )… Paul even gave us a little advice and guidance to help with our planning, which helped no end!! After a year and a half of Skype and emails it was lovely to meet Paul in our Engagement photo shoot, in the Wellington Botanical Gardens. He made us laugh throughout and straight away helped us relax into having our photos taken. When we saw the engagement photos we were blown away by how beautiful they were… and our wedding photos are even better! Paul and Jason were super troopers, shooting away from start to finish. They weaved throughout everyone and seemed to capture a particular moment from so many different angles… and yet we barely noticed they were there! Paul (and Jason!) captured every second of our wedding – all the little emotions on the faces of our guests during the ceremony and speeches, and the fun and relaxed atmosphere of the day… Paul and Jason have brought the day to life and helped us to remember all of the little moments! We joked with Paul how the photographer was one of the most important people in a wedding (no pressure there for you at all was there!!?) and Paul definitely lived up to this! He did everything we asked and more and we can’t say thank you enough… anyone who has Paul as their photographer in the future are extremely lucky! We really enjoyed having Paul photograph our wedding – right from the start, he was easy to talk to and understood the sort of thing we were after. We aren’t used to having our pictures taken so were a bit awkward at first but Paul was great about not making it a big deal so we could relax, and the engagement session helped a lot. He was great to have around on the day, just a calm cheerful presence in the background. I hardly noticed him all day, but having looked through the photos I can see he was really switched on about knowing where to be – one or two people said at different points in the day they had just been thinking “this would be a good photo” and suddenly Paul appeared! It’s great seeing all the interactions I missed on the day. And of course, most importantly – the pictures are beautiful and are already being pored over and treasured by our families. Thanks again Paul. Quite simply we want to say thank you. Amazing! There literally isn’t a better word to describe Paul and his wonderful photography. As a strong believer in doing your research I had looked at many photographers online, however the only one I ever met in person was Paul, after seeing his photos online and then meeting him in person I knew my search was over and he was the wedding photographer for us! Paul is super personable and friendly. He puts even the most uncomfortable in front of the camera (myself and partner) at ease, something which we found after our engagement shoot. He really is everything you could want for in a wedding photographer, calm, knowledgeable, talented and also somewhat ninja like (he’s always there getting the shots but you never notice). His photo’s speak for themselves! And even when pushed for time (as we were on our wedding day) Paul managed to get the perfect shots which really are just stunning. I could not be more in love with the photos he produced for us and there isn’t a bad photo in the whole lot! I would happily recommend Paul to EVERYONE as he really is absolutely AMAZING! We were recommended Paul from friends of ours who had met with him in regards to their wedding, and after looking at his work on the website, and then meeting with him in person, we knew that he was the perfect man for the job! Paul is so easy to get along with right from the get-go. We met with him for a friendly catch up and wedding chat, and found that the conversation just flowed so easily. At the engagement shoot, any initial nerves were put to rest very quickly with his laid back style. The shots from that day were gorgeous and we truly treasure them. On our wedding day, Paul was fantastic. He was there in the background, and at times we forgot he was even there.. not that you would know that by looking at the photos; Paul, you captured our day perfectly. The details emotion, and the whole feel of our special day, shines through the photos, and we can’t stop looking through them. The fun and creativity that Paul has was incredible. His suggestions of great shots added to the fun of the day and made for the most amazing photos. We have had so many comments on what a brilliant job Paul did, and we totally agree. We knew the photos would be fantastic, but they are so much more than we expected. We would (and do!) highly recommend Paul to anyone looking for an amazing wedding photographer. From the first time meeting you at the Southern Cross bar we knew right away you were the perfect photographer for us! You had the personality we had been looking for in a photographer, easy going, happy and we could tell you just loved life and what you do! On our day both you and Jason fit in so well with our friends and family. At times we forgot you were even there and you both just blended in as one of our guests (while of course still professional)! You guys added even more to our perfect atmosphere! Considering the complete change in plans due to the HEAVY rain we could not have been happier as to how our photos turned out and the fun time we had taking them! I think we only lasted about 15 minutes at one of the locations we originally planned to. The photos were not at all what we expected but so so much more! We could not be happier with them and will treasure them forever! The emotion you captured was incredible – you are so very talented! We cannot recommend you enough! We want all our friends and family to use you as you are actually the best! Thank you so very much for our wonderful photo’s. Paul – they are absolutely perfect! Best money spent on our perfect, special day! Can’t recommend you enough! Initially we chose Paul based on his beautiful portfolio and his photos of our wedding definitely fulfilled all our expectations. They are stunning and captured all the special moments of the day. On top of this Paul was professional, extremely patient and incredibly discrete – we hardly knew he was there all day! We wouldn’t hesitate to recommend Paul to anyone looking for a photographer for their wedding. I can’t recommend Paul highly enough, he’s an amazing photographer and we have so many absolutely stunning photos of our wedding. He really knows how to compose a great picture, which is obvious from looking at any of his work, but we also appreciated the time and effort he took afterwards in making the pictures just perfect. We have the most wonderful record of our wedding day and we’ll treasure the pictures forever! We also got lots of great shots from our engagement shoot. More than this, Paul is an absolute delight to spend time with, he’s polite and friendly, helpful and dependable, and clearly loves what he does. Paul Howell photographed our wedding so beautifully; we would thoroughly recommend him. Paul took creative and interesting photos of the whole day while also taking incredible candid portraits of the bridal party and guests. He was professional, and easy going all the time; he put us at ease and was very attentive to our requests. Paul went the extra mile for us and we couldn’t be happier with the photographs. Wedding Ceremony and Reception at Museum Hotel, Wellington. Paul is without doubt a hidden gem in Wellington! We used Paul for our wedding in January 2014 and he was everything we could have asked for. On meeting Paul, I immediately warmed to his laid back and friendly nature which was really important to us. I was also pleasantly surprised that he was reasonably priced for someone with so much international experience. Having the ‘test shoot’ helped us get comfortable in front of the camera and gave us confidence for our big day – I couldn’t recommend it enough. Our wedding photos are so incredible, we have had many people tell us they are the best photos they have ever seen. Paul helped us bring our vision to life for a very contemporary shoot in inner city Wellington, but importantly, he captured so many candid moments of family and friends at our wedding that we will treasure forever. Thank you Paul, you’re amazing! Wedding Ceremony at Old Saint Paul’s Church and Reception at The Boatshed, Wellington. We cannot speak highly enough of Paul! He took the time to get to know us before our special day, and it made the day all the more relaxing and enjoyable. Also has taken much time and effort to put together two fabulous discs with our photos and looking through the HUNDREDS of photos we got back I had a tear in my eye as he captured the day perfectly! We would recommend Paul to absolutely anyone who wants photos done for any occasion. He fit right in to our vibe of the wedding too, almost like we had invited him as a guest. Thank you so much Paul, your are amazing! Hopefully we see you again at the next wedding we are invited to! Wedding Ceremony and Reception at The Winemakers Daughter, Kapiti Coast. Paul took our wedding photos and I would like to share how absolutely amazing he is! He really made our day come alive. He was as much or as little of the day as we wanted him to be and he has fantastic ways of capturing that perfect shot and of making everybody naturally smile. Paul is organised, friendly and completely reliable. He makes what he does look effortless with absolutely fantastic results. He takes last minute changes on the day all in his stride and he really is exceptionally talented. To top it all off he makes you feel like you’re the most important client he has which on your wedding is what it’s all about. We’re still talking about how perfect all the photos are and I think we always will be. They truly are memories to last a lifetime and I would (and have) highly recommend him without any hesitation to anyone who is looking for a photographer. We’d like to thank Paul from the bottom of our hearts for helping to make our day so special and capturing all of those perfect moments it’s wonderful being able to revisit them again and again. Wedding Ceremony and Reception at Southwards Car Museum, Kapiti Coast. From the start of getting to meeting Paul I could tell that he was the right photographer for us. His easy going and happy personality made us feel comfortable with him. He also responded promptly to the emails we sent and offered good suggestions for possible places we could have our photos taken. It was great to have the photo practice a few months before the wedding as we could find out which places would work on the wedding day and what we would do if the weather wasn’t good. He also communicated his knowledge and ideas well as he would tell us if this place was good for lighting or not. On the day of the wedding he was more than we could have wished for in a photographer. I’ve been to about 10 weddings in the last five years and normally you see the photographer right in front of the bride and groom. You can also hear the camera button clicking a million times. Paul was different. He was hidden on the side or up the back taking photos and you could hardly hear the camera clicking. I am really happy with the photos he took and so are all our family and friends. I especially love the slide show he made with all the favourite photos. Paul thank you again for all the time and effort you put into making our special day look amazing. It’s a wonderful memory that we will treasure forever. Wedding Ceremony at Saint Theresa’s Plimemrton, wedding reception at Paraparaumu Golf Club, Kapiti Coast. Wedding Ceremony at Otari Wilton’s Bush, Wellington. Wedding Reception at Dockside, Wellington. Paul, well what can we say?! The photos are absolutely AMAZING and we love them so much. Thank you for all your hard work and patience with all our questions in the lead up to the big day to ensure everything went as smoothly as possible. Your commitment and professionalism on the day to create the best shots was second to none; who would’ve thought you’d climb a tree to get the group photo due to the absence of a ladder?! Everyone we’ve spoken to since the wedding has commented on how great you were, slipping into the background and capturing the candid photos that truly highlighted the happiness, love and overall emotion of the day. We can’t rate you highly enough and will be recommending you to our friends planning nuptials in the future ;o). Thanks again. J Alex and Tim. Wedding Ceremony at Old Saint Paul’s Church, Wellington. Wedding Reception at Icon (Te Papa), Wellington. Phil and I are incredibly happy with how wonderful our wedding photographs are. We have received countless complements from friends and family about our photos and we would not hesitate to recommend Paul to anyone. In fact, we already have recommended him, and will keep doing so. We wanted Paul as our photographer because we loved the photographs we saw on his website. We met over a coffee and were instantly put at ease by his friendly and open nature. We got to know him better on our engagement shoot, which we did at our wedding venue in the Wairarapa, and this gave Phil and I a chance to get used to Paul and his style. Paul sent us all the shots of the engagement shoot which were beautiful – by the time the wedding rolled around, we felt like Paul was a treasured and instrumental part of the wedding party. We received a ‘taster’ gallery of our shots shortly after our big day, which was soon followed by hundreds more shots in colour and black & white, a 15 minute slideshow, and our beautiful album. We simple loved how he let us be ourselves, while also making suggestions to help make the photos look fabulous. Paul easily provided professional direction whilst allowing Phil and I to just be with each other. I cannot emphasize enough how talented Paul is, how much commitment and passion he brought to our special day. We honestly can’t recommend Paul highly enough!! There’s no words to describe how amazing our wedding photo’s are, they are so much more stunning than we were expecting – and the slideshow is a work of art! From the moment we met Paul a year ago to discuss our wedding, we knew we would be booking him for our wedding. So laid back and casual (yet still very professional), we both knew he’d fit right in on our big day. Our recce shoot in August gave us a taste of his photo style, and we loved them, couldn’t wait for the actual wedding shoot. The big day arrived and the weather couldn’t have been more perfect really – Paul and Jason (we chose to have 2 photographers) turned up a little early, and from that moment on just blended into the day and somehow still managed to get amazing photo’s while not at all being in the way. Thank you so much for giving us such beautiful visual memories to keep for a lifetime! 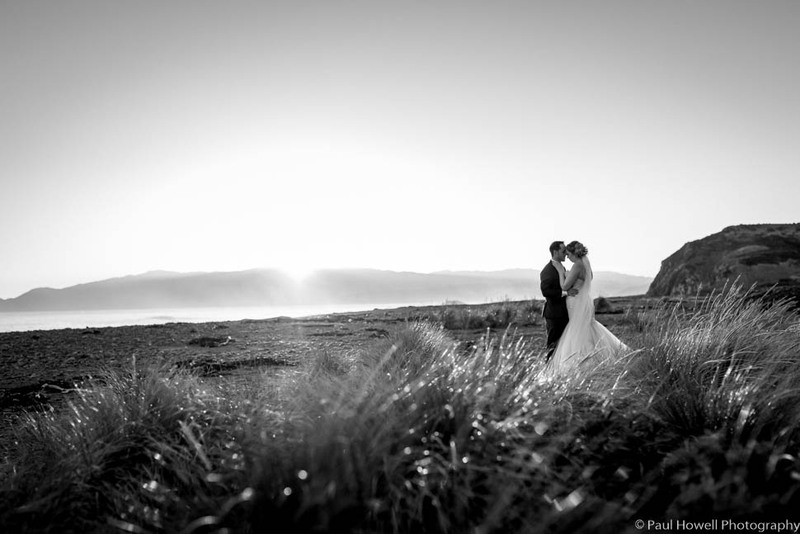 After extensive internet research, my partner and I chose Paul to photograph our Ruapehu wedding in February 2014 – and after our engagement shoot last week we’re so happy we did! Paul is friendly and really goes the extra mile – our engagement shoot ended up being in 5 locations over 2 days, with Paul travelling 4 hours to get to our locations – with no complaints and unflagging enthusiasm! After multiple emails over a few months – which were always helpful, detailed, and prompt – it was great to finally meet him in person. He made us feel amazingly comfortable within minutes – even my camera shy partner was soon relaxed and happy in front of the camera. And the photos are just brilliant – whether you are after beautifully lit and composed shots of picturesque locations, or intimate shots of you and your loved one, Paul can do it all – check out his blog for proof! I highly recommend Paul, and CAN’T WAIT FOR OUR WEDDING SHOOT (and, as a sideline, the wedding itself… :-D)! Paul did the photography for our wedding in August in Featherston. It was a drizzly old Wairarapa day that Paul managed to make look absolutely magical in his photos. He created images that are simply stunning to look at. He even managed to make me look good! He was also brilliant at being everywhere there was a good photo to take without ever seeming to actually be there – the most unobtrusive photographer I’ve ever seen. Paul’s a good bloke too, really easy to spend the day with, helping to reduce the stress in those early getting ready moments. We would recommend Paul in a second as he creates brilliant, timeless images that you won’t want to stop looking at. We are in total AWE with what you have done!!!! Before we met you we already knew you could capture the look we were after, meeting you we knew you were the right personality for the job, however we were not expecting you to continue to tick all the boxes – even the ones we hadn’t thought of. Somehow you and Jason Mann managed to connect with all our guests – we had a lot of feedback from them on how impressed they were. You both seemed to be everywhere and all the right times. Then when you gave us a file with all our images….OMG! We were totally mesmerised… How on earth did you collate all those fabulous images and put a stream together telling a story from the beginning of the day right through to the end??? And… Somehow you have manage to capture a real sense of emotion and movement in still shots? And… We just love the way none of the photos are posed! Even the ones that are specifically set up have come out looking really natural – one of your gifts I suspect is, capturing the image after everyone thinks the photo has been taken. And… Also the slide show is just perfect, we keep on watching it and we both have tears in our eyes at the end. And the music is perfect – thanks for streaming the two song together, it works so well Getting ready shots at Museum Hotel, Wedding ceremony and reception at Boomrock Estate, Wellington. Wedding ceremony at St Josephs Parish, Mt Vic, Wellington. Reception at ‘The Boatshed’, Wellington. Anita and Marc Schrafft – Wellington, 2013. Wedding ceremony and reception at home. Alex and Dan – Eastbourne, Wellington. Wedding ceremony at San Antonio Catholic Church, reception at Wellesley College, Eastbourne. Ceremony and Reception at ‘The Boatshed’, Wellington. Wedding ceremony and reception at Bride and Groom’s home. Wedding ceremony at Wesley Wellington Parish, reception at Mercure Hotel, Wellington. Wedding ceremony and reception at ‘The Landing’, Masterton, Wairarapa. “Hey Paul, the pictures are soooo A.M.A.Z.I.N.G that is just the simple way to describe it. Oh the effect on the pictures is so perfect. We can’t just stop looking at them over and over again. This is a job well-done. Many thanks!!”. Wedding ceremony at Old Saint Pauls, reception at Dockside, Wellington. “Paul captured our wedding in February 2013. From the very outset Paul made us feel relaxed and excited about the day, and his service, enthusiasm and professionalism were brilliant – from the first meeting with us to go through some ideas, to spending an afternoon with us taking test location shots (including some of our pooch,) right through to the big day itself. Paul’s skills and ability to capture and create the special moments were outstanding and we had plenty of laughs along the way. We absolutely loved our photos and slideshow and cannot wait to have our wedding albums produced. We would thoroughly recommend Paul’s services to everyone out there, and will certainly be utilising his services in the future”. Wedding ceremony and reception at ‘The Landing’, Masterton, Wairarapa. Photos at Rathkeale College. “My husband and I were extremely pleased with our choice to use Paul Howell Photography on our wedding day. Right from the outset, Paul’s professionalism and dedication to his work was exceptional. Paul’s personality is a perfect fit for the type of work he does – he is outgoing, friendly and bubbly and we found that this added something really special to our day. One of Paul’s best attributes was his ability to work within the circumstances that presented themselves on the day, he was always calm and relaxed yet very helpful when it came to getting all the perfect shots. His ability to relate and communicate to all our guests, especially the children was awesome. We had so much feedback from guests on Paul’s work and his dedication on the day, it was fantastic. My husband and I highly recommend Paul as a wedding photographer. The quality of the photos and the amount of photo’s we received from Paul completely exceeded our expectations, but more importantly it was Paul’s personality that we appreciated most. He was punctual, reliable, and knowledgeable and he really loves what he does which really shone through for us on the day”. Wedding ceremony at Sudbury Fields, Kapiti Coast. Ceremony on Waikanae Beach, reception at ‘The Front Room’, Kapiti Coast. Wedding ceremony at Catholic Church, Britannia Street, Petone. Reception at Martin Bosely’s, Oriental Bay. Wedding ceremony and reception at Southwards Car Museum, Paraparaumu, Kapiti Coast. Just wanted to say thanks for your great photos. Wedding ceremony and Reception at Farm location, Waikato. Wedding ceremony and reception at Tarureka Estate, Featherston, Wairarapa. Wedding ceremony in Otaki, reception at Southwards Car Museum, Kapiti Coast.